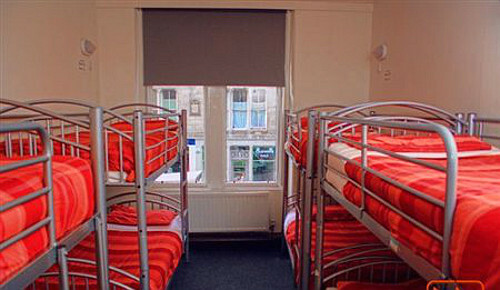 Compare and choose from our collection of cheap hostels in Edinburgh. 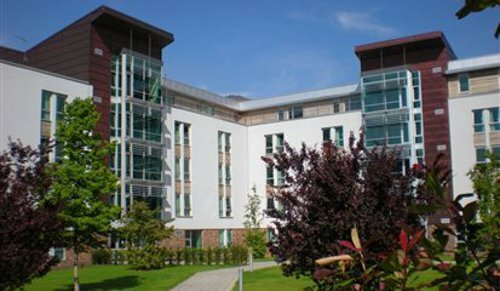 Options range from traditional Edinburgh hostels with dormitory rooms, to up-market hostels and guest houses, where you will have your own room, to university halls of residence, which are available in the holidays when the students have vacated their rooms. Use the form above to browse our availability and prices! 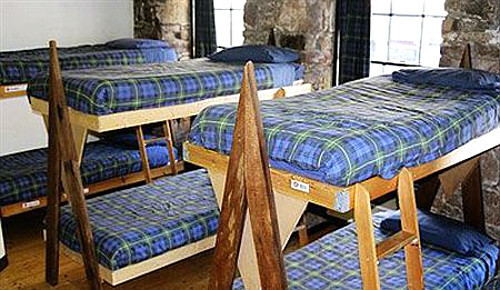 If you can't find what you are looking for, or no availability exists for your dates, please visit our siste website, www.edinburghbedbreakfast.co.uk, where you can see our range of bed and breakfasts and hotels in Edinburgh. Edinburgh is the second largest city in Scotland (after Glasgow), the country's capital, and the seat of the Scottish Parliament. Owing to its spectacular, rugged setting and vast collection of Medieval and Georgian architecture, including numerous stone tenements, it is often considered one of the most picturesque cities in Europe. The city attracts 1 million overseas visitors a year, making it the second most visited tourist destination in the United Kingdom, after London. 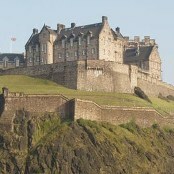 Edinburgh is a vibrant city, offering many activities and historic sites. 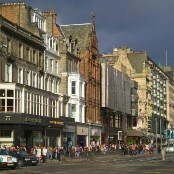 Princes Street is the place to shop and the Royal Mile is home to thriving pubs and restaurants. Edinburgh Castle, which stands over the city, St Giles Cathedral, which dates from 9th century and the Edinburgh Vaults where visitors join a ghost tour, are just a few of the places of interest. The city is well-known for the annual Edinburgh Festival, a collection of official and independent festivals held annually over about four weeks from early August. The most famous of these events are the Edinburgh Fringe (the largest performing arts festival in the world), the Edinburgh International Festival, the Edinburgh Military Tattoo, and the Edinburgh International Book Festival. 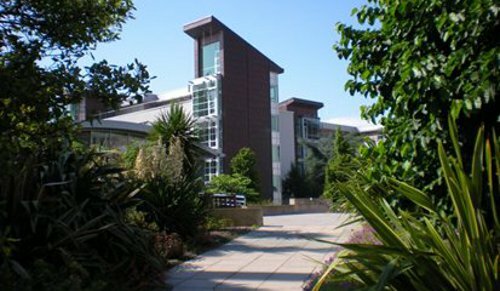 Leave the M1 motorway at Junction 8 and follow A720 and A71 to Edinburgh City Centre. The journey time is over 8 hours from London. All trains to Edinburgh go to Waverley Station, off Waverley Bridge at the east end of Princes Street. All trains to the north and to the west coast, including Glasgow, also stop at Haymarket station. National Express and Scottish citylink run coaches to Edinburgh. The city's new bus station is in St Andrews Square, only a few minutes' walk from Waverley station. 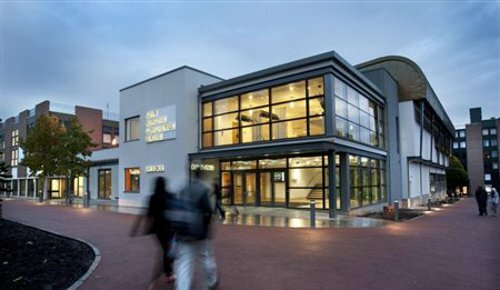 This is the terminal for all coaches from England, from other towns and cities around Scotland and also for local services to outlying towns and villages. Edinburgh International Airport is 8 miles west of the city centre on the A8 Edinburgh-Glasgow road. Human habitation of the Edinburgh area is thought to have begun around the Bronze Age given traces of primitive stone settlements at Holyrood, Craiglockhart Hill and the Pentland Hills. In 1492 King James IV of Scotland undertook to move the Royal Court from Stirling to Holyrood, making Edinburgh the national capital. Edinburgh continued to flourish economically and culturally through the Renaissance period and was at the centre of the 16th century Scottish Reformation and the Wars of the Covenant a hundred years later. In 1603 King James VI of Scotland succeeded to the English and Irish thrones, fulfilling his ambition to create a united kingdom under the Stewart Monarchy. Although he retained the Parliament of Scotland in Edinburgh, he marched to London to rule from his throne there. He ordered that every public building in the land should bear his family's emblem, the red lion rampant, and to this day the most common name for a public house in Britain is the Red Lion. In 1639, disputes between the Presbyterian Covenanters and the Anglican Church led to the Bishops' Wars, a prelude to the English Civil War. During the Third English Civil War Edinburgh was taken by the Commonwealth forces of Oliver Cromwell prior to Charles II's eventual defeat at the Battle of Worcester. In the 19th century, Edinburgh, like many cities, industrialised, but did not grow as fast as Glasgow. It avoided much of the worst bombing in World War Two and as such today retains much of its historic architecture and atmosphere.